Cross Ash Primary School, set in a beautiful rural setting north east of Abergavenny opened in 1991 bringing together five smaller village primary schools. 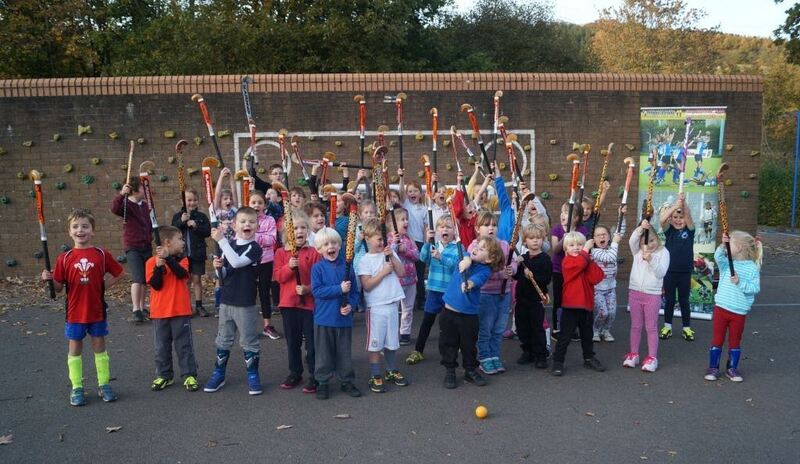 The school applied for a Friends of Welsh Hockey Grant to buy hockey equipment for their young players. Two of the Friends trustee's Roger Caddick and Jeff Robinson went to visit the school to see how the project was going. Both were given a warm welcome by Headteacher Laura Perrett, hockey coach Rebecca Sheen and the masses of young players the school have. The project was designed to enable more young people to access the sport and then signpost them into local local clubs. The school wanted the grant to help them purchase sticks, balls, goals and other training equipment. Both trustee's were extremely impressed with how much equipment the school had managed to purchase with the grant received and were sure that the project was in good hands to move forward. What I found remarkable was that despite the school offering an unusually wide range of sports plus a number of extracurricular activities almost 50 of the school's approximately 200 pupils had joined the hockey club - a tribute to Rebeccas inspiration and the support from Headteacher Laura and the parents. 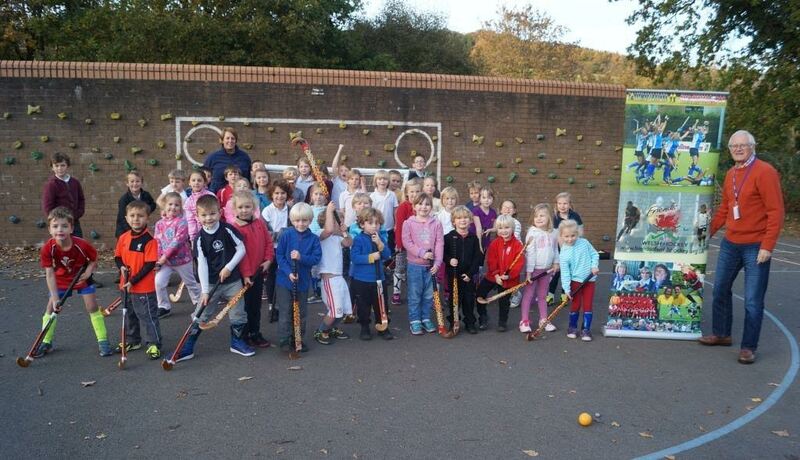 Thanks so much to friends of Welsh hockey for helping out our school. The equipment will be a great help and the kids really enjoyed the visit. 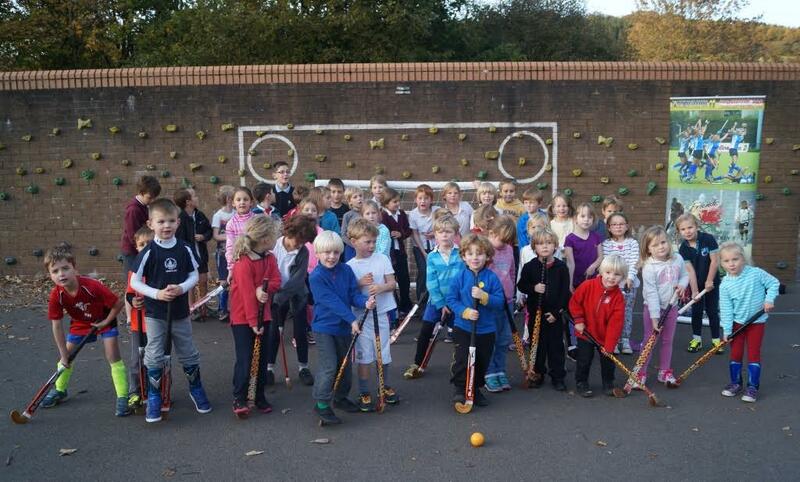 It is great to see so many children enjoying hockey and hopefully going on to join local clubs. Friends were delighted to support Rebecca in her bid and wish the school and it pupils every success for the future.